Dillistone Systems, the leading global provider of technology to executive search firms and strategic recruiting teams, is proud to welcome the return of Johnson, Sydney-based retained executive search firm with offices in Sydney, Singapore, Hong Kong and Shanghai, as a FileFinder client. 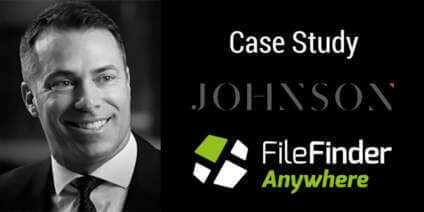 Johnson, led by Jason Johnson, recognised as one of the most successful and influential search consultants in the world and a former Global Chairman of the Association of Executive Search Consultants (the AESC), relied on a legacy version of FileFinder before deciding to implement the Invenias executive search software platform. Asked for an example, Elly explains that a major part of the Johnson service offering is the reports they produce for clients. These can include extensive market maps, sometimes extending to hundreds of pages.